And then I noticed the rims looking a little dull too. I know better not to have any slippery product on the brakes and wheels. But being a gel, the application was direct and precise – applied with an old sock. So no messy over-sprays. Wow! I’m super impressed. It does indeed looked like a completely new set of rims!! Well, the product made my top box, panniers and mud guards looked good too. But those weren’t as faded as my rims, and thus the biggest magic was on the rims itself! 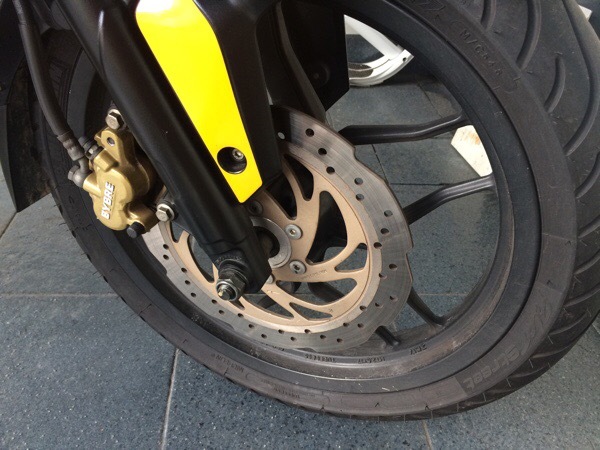 So, the next time you intend to sell your bike, you know what to get to make it look brand new! A little bit of effort will make you bike look amazing – enabling a faster sale or even a higher price! 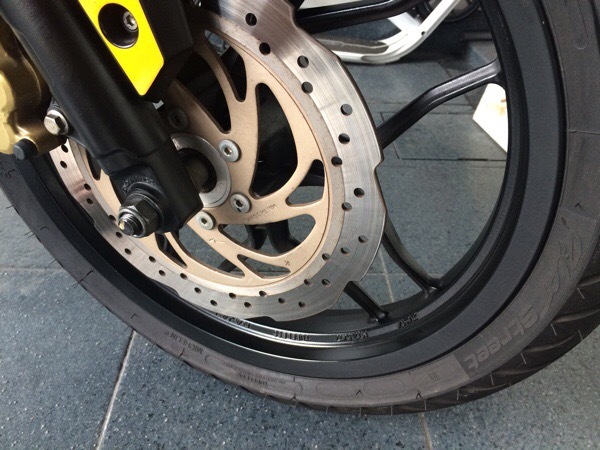 I would like to try it on my rims too..
You should… The results I got were amazing! I used the “cheapo” route by applying silicon spray on my box, etc (stuffs tat were matte black finished) cos I could get it from my office for free…..(shhhhh). Even applied it on my tyre sidewalls to give it tat “wet” look. However, I have stopped using it on the tyres cos wat if the slippery stuff gets onto my tyre treads? Hmmmmm……..
Yeah – I was really kinda experimenting with it. 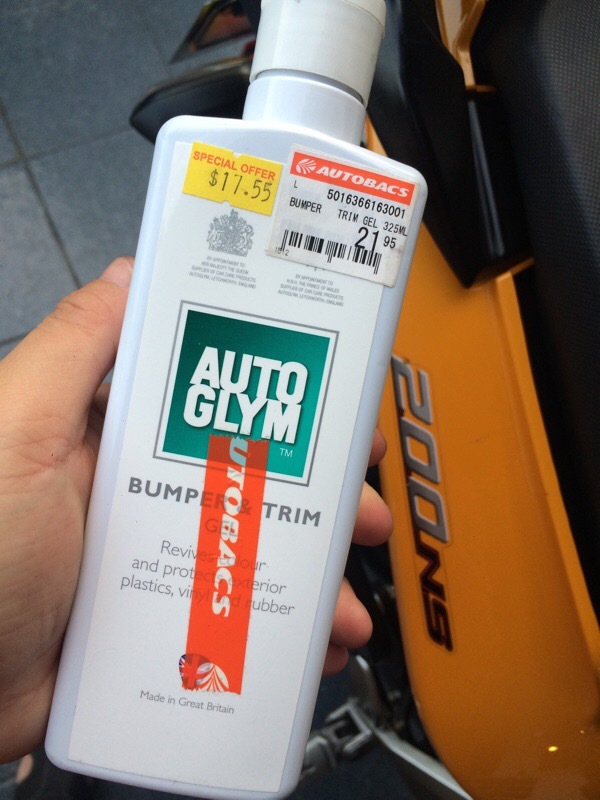 I already had this bottle of Autoglym, which I had previously bought to detail my car. And since it was sitting there, I thought I’d just give it a try. Was happy with the results! I’ve tried it too,on everything black on my Yamaha XMAX 400 abs,even the forks,brilliant stuff if the weather is mild enough for it to dry properly,top job.